Venezuela’s socialist economic system has been severely hit following the collapse of world oil prices in 2014. Inflation has skyrocketed, and since 2015, more than three million Venezuelans have fled to neighbouring countries due to scarcity of food, jobs and medicine. Venezuela has gone from being one of the richest countries in the region, to the poorest. 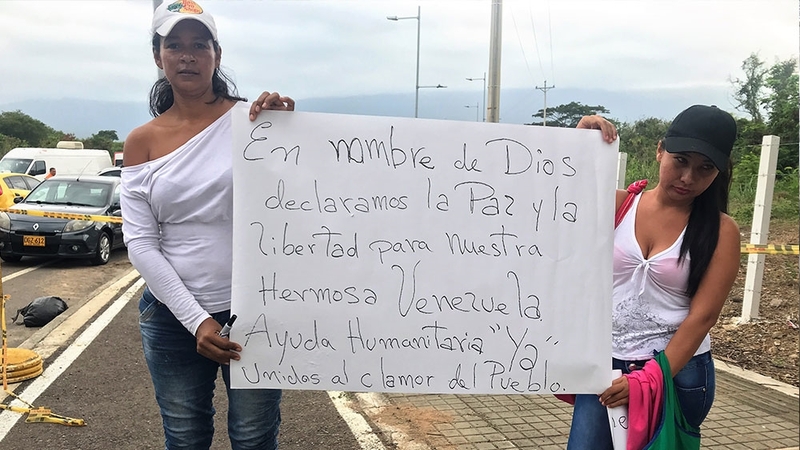 On Friday morning an awning was set up on the Venezuelan side of the Simon Bolivar pedestrian bridge, the main point of entry between the two Andean countries, in aim of collecting signatures in support of Maduro to remain president of Venezuela. Passersby shouted “Maduro out”, while military officials replied “long live the revolution”. Perez has been separated from most of her family, some back in Venezuela while others have gone to Peru and other countries to search of job opportunities.